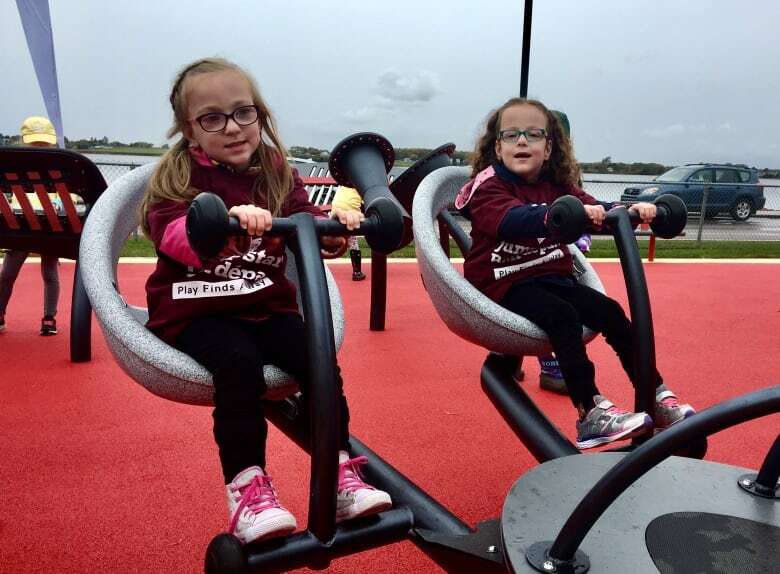 Charlottetown's first accessible playground opened to the public Thursday. Screams of joy could be heard from the dozens of children at the opening of Charlottetown's first accessible playground in Victoria Park. "This is so much fun!" and "best day ever!" were both common refrains. 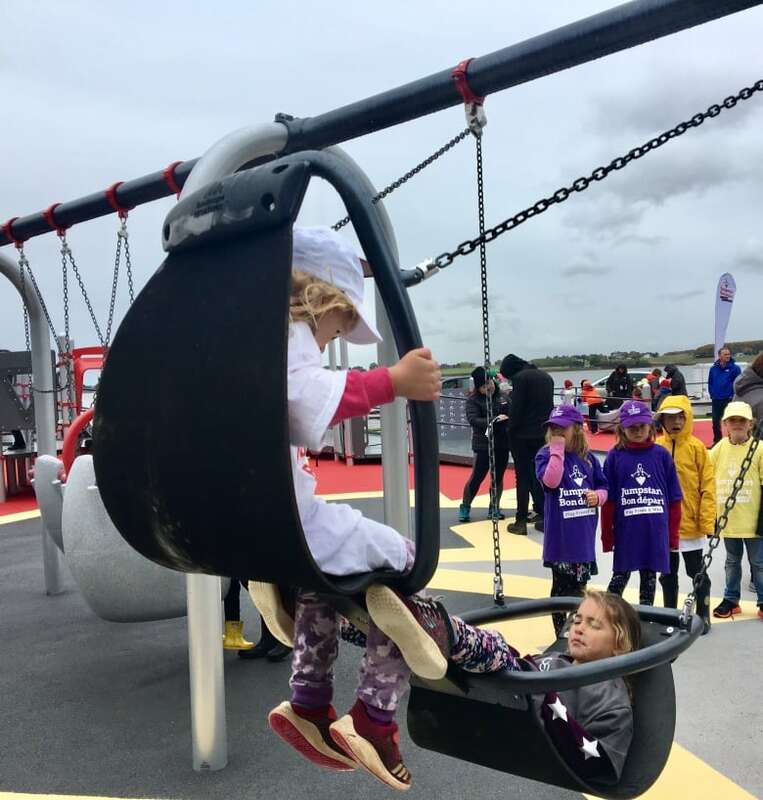 The playground, built through Canadian Tire's Jumpstart Program is one of four the national charity paid for across Canada this year. Marco Di Buono, associate vice-president of programs and operations with Jumpstart, said the playground is meant for multi-generational use. "There's so many parents and caregivers, as they age, acquire new disabilities or limited mobility. They're going to be able to participate with their kids where they wouldn't have been able to before," he said. Di Buono said the playground features traditional play components modified for children of all abilities. 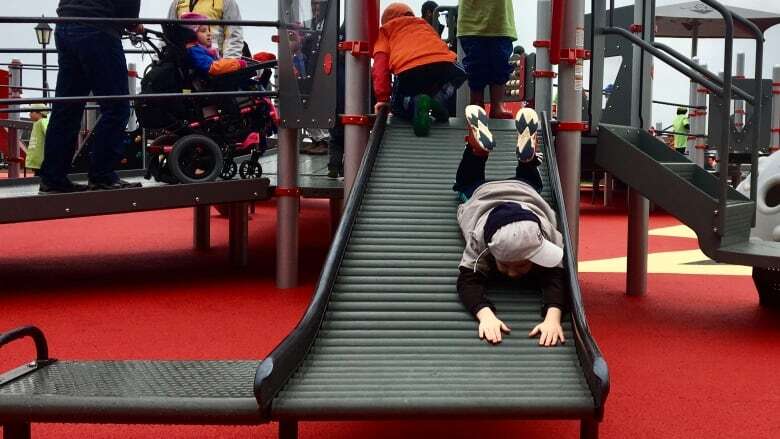 Some of these modifications include double-wide ramps for easier wheelchair access, modified seesaws for those with limited upper body strength, and roller slides for those who wear hearing devices. The roller slides eliminate possible static electricity build-up for those with cochlear implants, so they can use the slide without fear of static electricity discharging into their hearing devices. 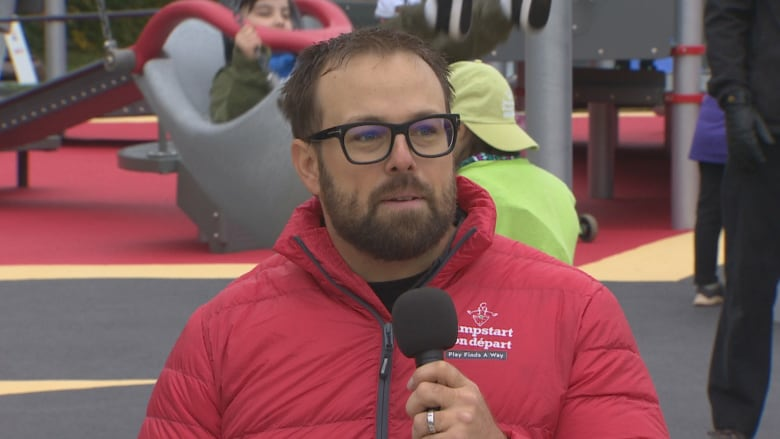 For Island-born five-time Paralympian Billy Bridges, the playground serves as an opportunity to play with his two-year-old daughter. "You really start to recognize the challenges that are out there and the importance of something like this," he said. "I grew up with a disability called spina bifida and I was raised to feel like I was a normal kid and go and do what you wanna do." Andrea Rogers was at the opening with her husband and six-year-old twin daughters. "It's amazing. The fact that right from the entrance from Victoria Park, there's a path that they can bring in their walker, or wheelchair, or stroller, and get right to the playground from even the entrance is huge," she said. Rogers referred to the features of the jungle gym as essential in order for her family to be together, and not worry about accessibility issues. "They're important for us to get out together as a family and just have less barriers to being able to do things that other families can do," she said. "It's a challenge to go most places." She also emphasized the important learning opportunity this creates for those who are able-bodied. "It's a chance for building social relationships between kids of all abilities," she said. "Just showing kids, that kids are kids and play is play. No matter what they can do or what they can't do, it's just having a place that they can do it at together." Top rugby players in Maritimes competing on P.E.I.